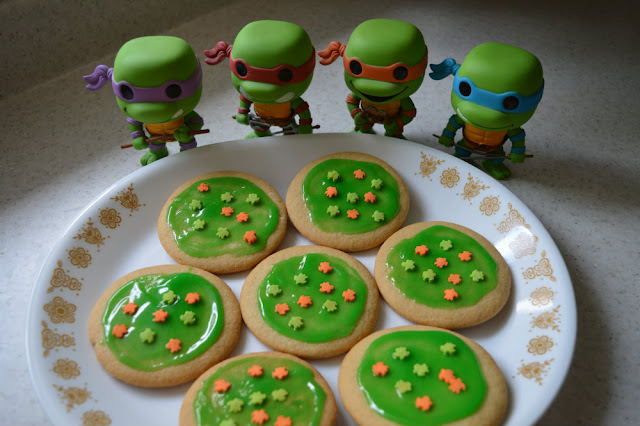 When I came across some adorable turtle sprinkles at The Bulk Barn recently I knew I had to make some sort of themed recipe for Teenage Mutant Ninja Turtles. The new movie, Teenage Mutant Ninja Turtles: Out of the Shadows, came out today so I thought it was the perfect time to whip something up. As per Adam's request I made sugar cookies and topped them with homemade 'mutagen' and turtle sprinkles. 1. Start with your favourite sugar cookie - whether homemade or store bought. 2. Mix up your 'mutagen'. 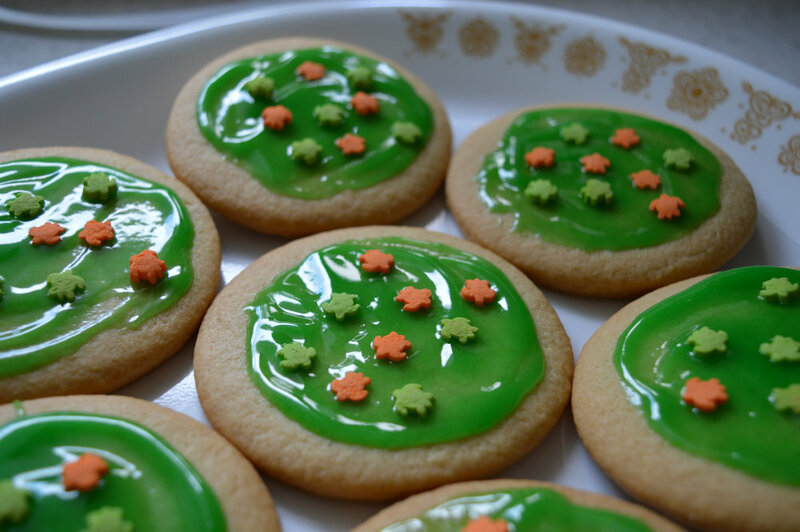 I used 1 tablespoon of icing sugar, 3 teaspoons of clear piping gel, and about 5 drops of green food colouring. The piping gel is what gives it that shiny finish. 3. Decorate! Spread your mutagen icing onto the cookies and add sprinkles! 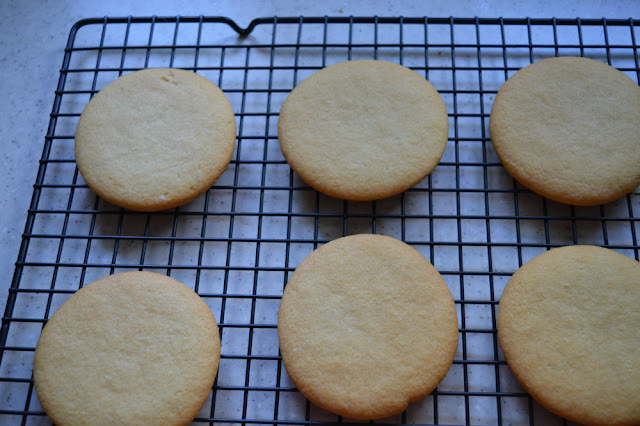 I love how these cookies turned out! 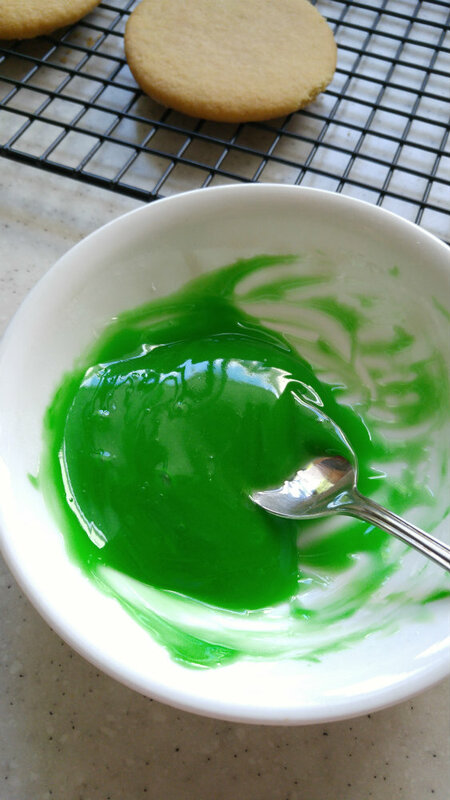 The piping gel was a great idea to make the icing shiny and I think it really does resemble mutagen ooze. 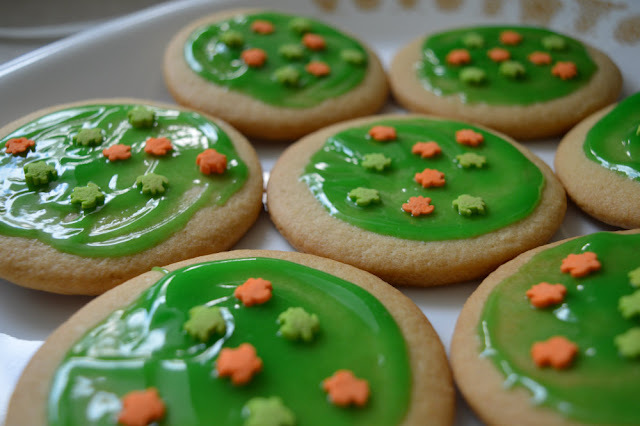 I may have to use this idea to make some blue 'water' for future cookies. We have to wait to see the new movie until next week because of work but I'm really looking forward to it, especially for Bebop and Rocksteady. Ack! 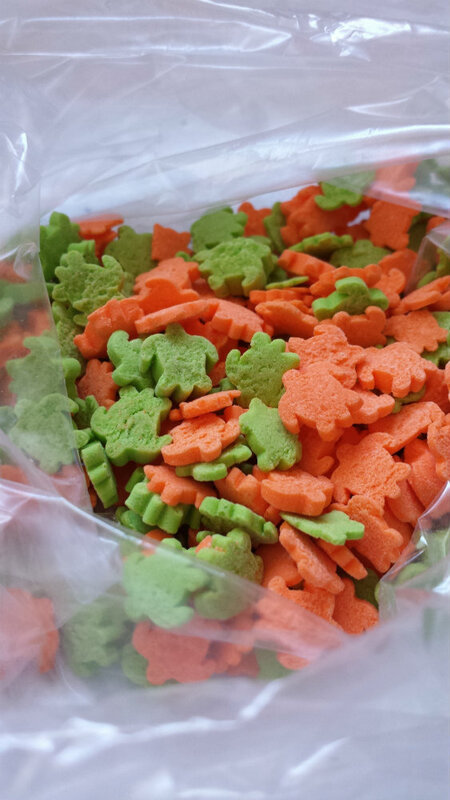 Those are so cute! Good job on the mutagen, btw.